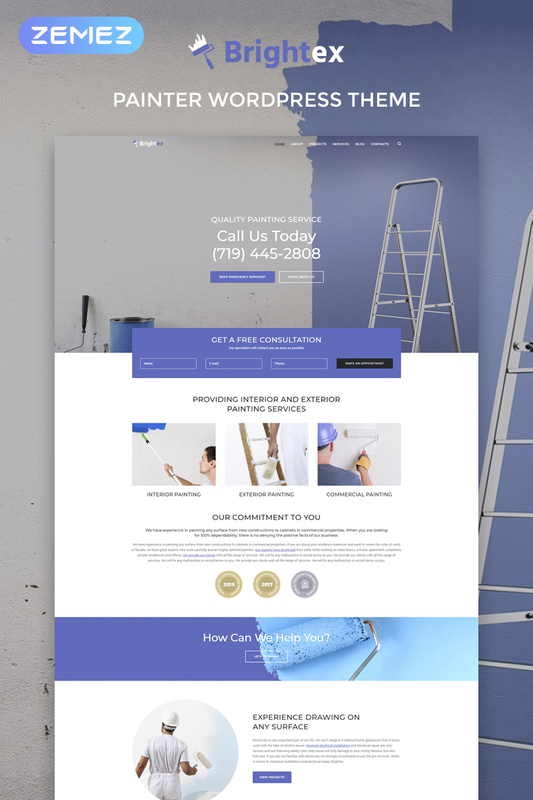 Do you want to make your painting services popular and attract more clients? Then Brightex is a perfect solution for creating a competitive website informing about your high-quality services in a modern way. 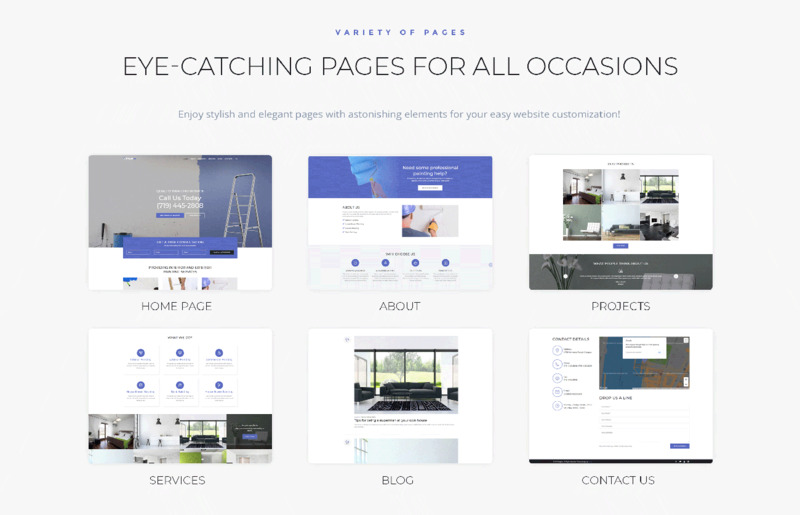 The theme has a creative design and strong functionality. You will be able to customize your website according to your purposes and vision easily and without any coding knowledge. JetElements plugin for Elementor page builder will be a great helper in enriching the content with useful elements and applying different style settings to the theme in a few clicks. With JetMenu plugin it will be available to create a mega menu with drop-down sections and change the design of their appearance. You will demonstrate your successful projects and provide them with eye-catching images using Portfolio widget. You will add happy clients' testimonials, which will prove your professionalism. Brightex theme is fully responsive and has an intuitive interface. 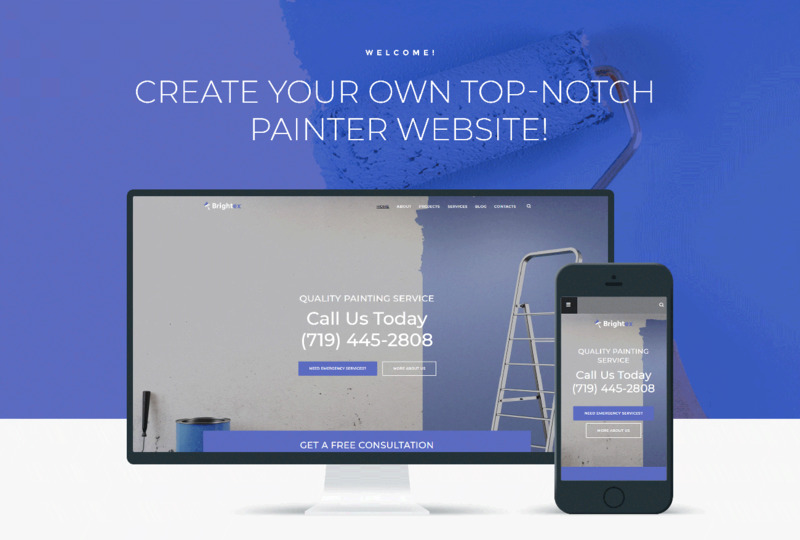 You will boost your painting services and engage more clients with this top-notch theme!